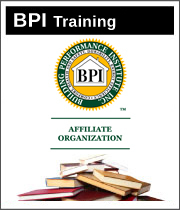 A full BPI course resource for you to help pass the BPI Exam the first time! If you plan to do energy audits for your own company or run your own home performance company in the future, here are some ideas to help you avoid the stress and stomach turning sh** that I learned the hard way. Start making good relationships and finding excellent drywalllers. Someone that is good with homeowners professional and does an awesome job is ideal. I have a database of drywallers I've accumulated mostly from Craigslist searching, even when I didn't need one. Carry a can of touch up paint in your van with an emergency paint brush to finishing the drywallers work. I go to a 4-5 emergency workers contact list who are good workers but light on work or as a last resort Craigslist for additional help. I do not put them in the attic and I do not suggest you do either. 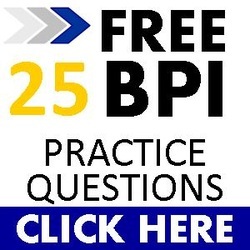 Assign them easier tasks if you are unsure of their skill level (no matter how experienced they tell you they are) and assign them tasks the require little skill (loading a insulation machine) or little interaction with your clients. Don't put up with your crew's shi**. Very little surprises me anymore running home performance crews since 2009. If someone doesn't want to work, let them go and then fill their void. Now new hires are amused how I rattle off our expectations when we first meet, politely saying, "I don't care if your kids are starving, you are starving, you don't have gas money, or you are living out on the street... payday is every other Friday no exceptions." Letting under performers stick around is asking for trouble. To get updates and information on ninja strategies and tactics to grow your home performance business enter your name and email below.